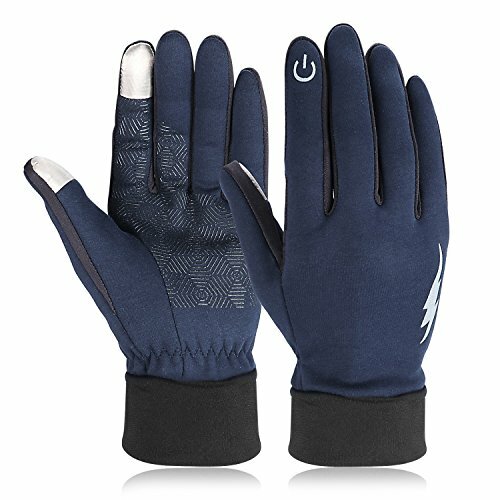 HiCool Winter Gloves - Both for men and women, more warmer, more breathable, more comfortable! Want to use your phone or tablets normally while keep your hands warm in Winter? Want to shield your hand warm while still maintain elegant? If you answer yes, these HiCool touch screen gloves is a great choice and gift for you, your families and your friends. We hold product's quality and customers' satisfaction as our top priority. Offering 12-month worry-free warranty, if you have any problems with the winter gloves, please feel free to contact us for help. Based on the intention of an unrestricted touch screen experience, we designed these touch screen gloves that enable complete control of touch screen devices while keeping the hands warm. 1. Made of highly elastic knitting mill wool lycra fabric and with brushed inner layer, keeping you hands warmth. 2. Special conductive cotton on the fingers of both hands to allow touching while gloves are worn, but will never damage the screen. 3. The finger part is applied the 3D tailoring, which fits the hands perfectly. Please measure your palm width and fingers size to choose the suitable size for you. If you have any questions about this product by HiCool, contact us by completing and submitting the form below. If you are looking for a specif part number, please include it with your message.